Areeya Villa. This nice communal village is located along Siam Country Club road. 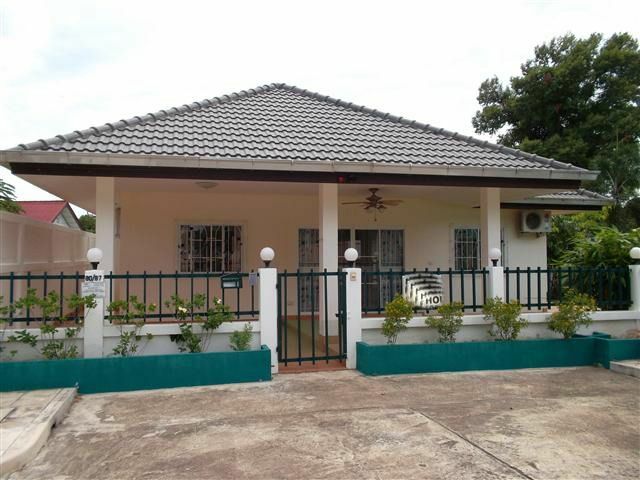 10 minutes to Pattaya City, 5 minutes to all Thai, and Western restaurants around the Mabprachan lake, and 5 minutes to the renowned Siam Country Club Golf Course. The village has 24 hour security, nice landscaping, and a family sized communal swimming pool. Inside the property each room is well furnished, and there is a large fitted kitchen, and generous bathrooms. A lovely garden to the side really makes this a special house for the money. 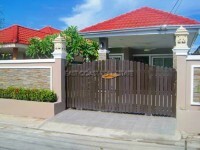 The property is owned in a Thai name, and the owner agrees to split any transfer costs equally 50-50 with the buyer.